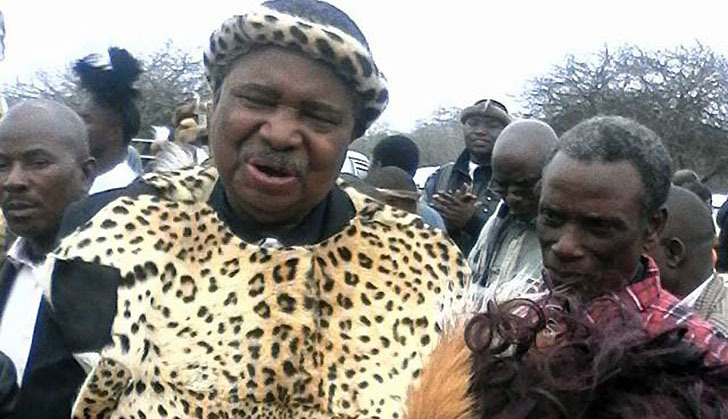 Former vice president Phelekezela Mphoko's world is crumbling down following his fall from grace in November last year. The diplomat could just be on the verge of losing what many consider to be a key asset in his portfolio - Choppies Enterprises. Choppies is a retail chain whose roots can be traced as far back as 1986 in a town called Lobatse in neighbouring Botswana. It was established in Zimbabwe in 2013 through the acquisition of Industry and Commerce deputy minister Raji Modi's Sai Enterprises. At the time, it boasted of being fully compliant with the country's harsh indigenisation laws which compelled all foreign-owned companies to cede controlling stakes to black Zimbabweans. Nanavac - a vehicle controlled by the Mphoko family had 51 percent shares in the business with the remainder owned by shareholders in Botswana. Between 2013 and the greater part of last year, the partnership didn't show any sign of trouble. But following former president Robert Mugabe's dramatic fall, the controversial indigenisation laws were scrapped except in the case of the diamond and platinum sectors where foreigners are still required to ensure local participation, which is not cosmetic. With Mphoko still licking his wounds following Mugabe's ouster, the foreign shareholder in Choppies now argue that the arrangement they had with Nanavac - co-owned by Mphoko and his son Siqokoqela - was just a measure to bypass the indigenisation laws. They said the former VP only had a seven percent interest in the business even though Mphoko insists he holds 51 percent. If Mphokos want to remain as the controlling shareholders in the business, they have been asked to put $94 million on the table. The dispute has now turned ugly, with Mphoko fighting to retain the asset, which has more than 33 retail outlets in Zimbabwe. Once ranked amongst the most powerful men in the country, Mphoko is holding his breath - awaiting for the High Court to rule on whether he still has shares and control over the retail chain. In the meantime, the foreign shareholders have written a memo to local staff, instructing them not to take instructions from the Mphokos. Mphoko's lawyer, Welshman Ncube, confirmed to the Daily News on Sunday that Choppies Botswana's shareholders filed a High Court application whose effect, if granted, would be to increase their interest in the business to 100 percent. Such a move would completely cut off Mphoko and his family. "Under the pretext of an Operational Services Agreement which is in the High Court, Choppies Botswana applied for a declaration to be the sole owner of Choppies but that letter is pending in the High Court; it has not been decided," Ncube said. Ncube also dismissed a memo to Choppies' employees saying it was done without the consent of other board members and before the High Court made a ruling on the application. "A lie was circulated to say the High Court had barred Siqokoqela from entering the shops in a bid to stop the workers from listening to any of the Mphoko directors which was not true. "The circular is trying to enforce an order which has not yet been given and is going to be argued early next year as the High Court is closing in two weeks' time," Ncube said. To add to Mphoko's woes, his son Siqokoqela was arrested recently and was remanded in custody for allegedly violating bail conditions and harassing State witnesses. He is facing 170 counts of fraud and theft. Siqokoqela is being accused of hijacking the Choppies retail business and "looting" more than $50 000 worth of cash and goods from the outlets countrywide without board approval. Siqokoqela's father surprised many when he rose to become one of the country's two vice presidents (VPs) in 2014, along with Emmerson Mnangagwa. He lost his job last November following a military intervention that led to Mugabe's resignation while at the same time catapulting Mnangagwa to the presidency. Despite being caught up in the Choppies battle, the politician has some unfinished business with his former employer - government. Reports indicate that Mnangagwa's administration has refused to pay him his full benefits as a former VP on account that he did not complete his term. Statutory Instrument 86 of 2015 states that a VP who served at least one term in office can enjoy exit packages such as a security officer, two drivers and domestic workers. The clause has, however, created a bone of contention as it assumes that Mphoko does not qualify for the benefits since he allegedly did not complete his term. When Mugabe was pushed out, all the Zanu-PF heavyweights who were perceived to have been loyal to him, including Mphoko, were pushed out. A number of the bigwigs are now struggling to make ends meet with former Defence minister Sydney Sekeramayi having fallen on hard times as he is allegedly struggling to pay his workers at his Farm. Sekeramayi reportedly owes $400 000 in unpaid wages and allowances to his employees. Zimbabwe's first National Assembly Speaker Didymus Mutasa is also struggling to make ends meet as he is failing to pay debts, including an outstanding $70 000 owed to power utility Zesa. Mutasa is allegedly also failing to send his children to school.